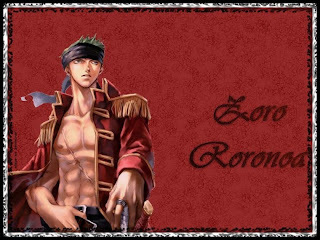 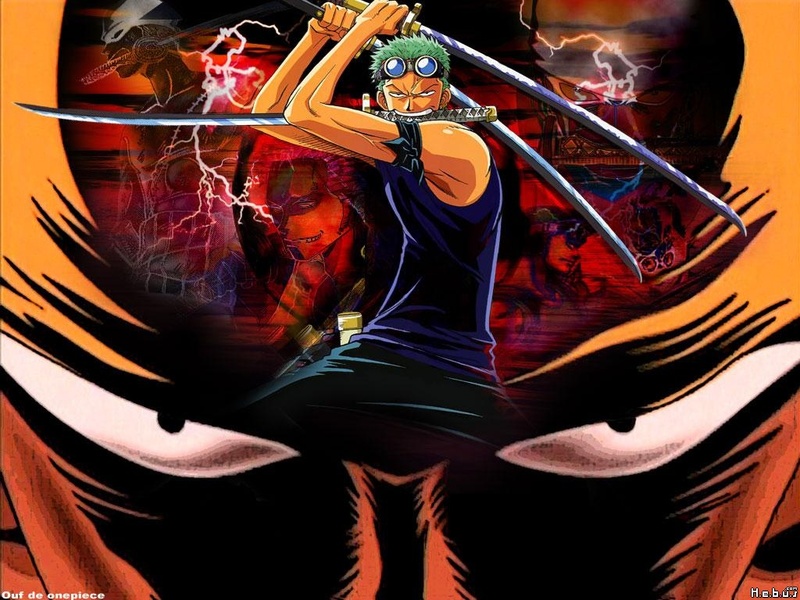 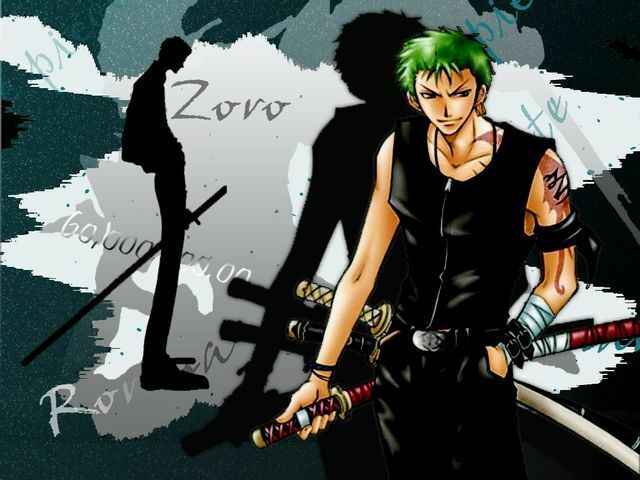 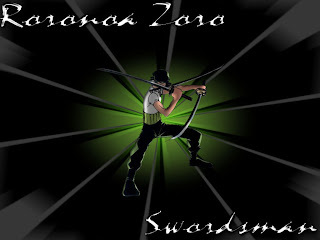 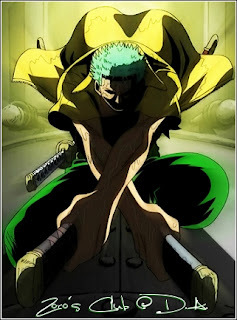 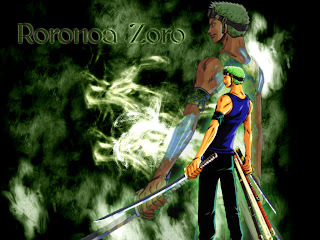 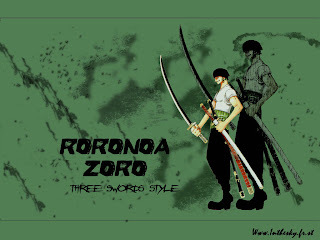 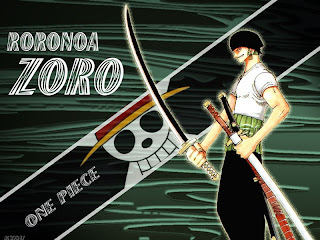 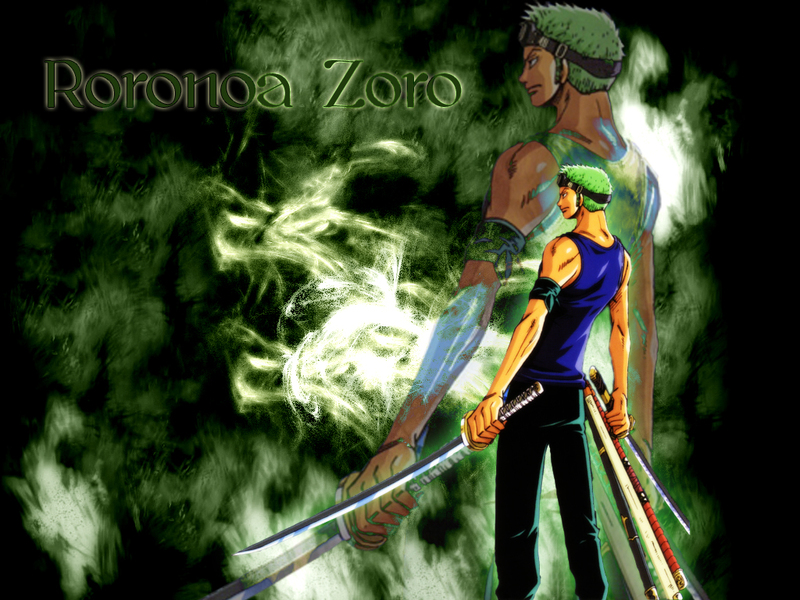 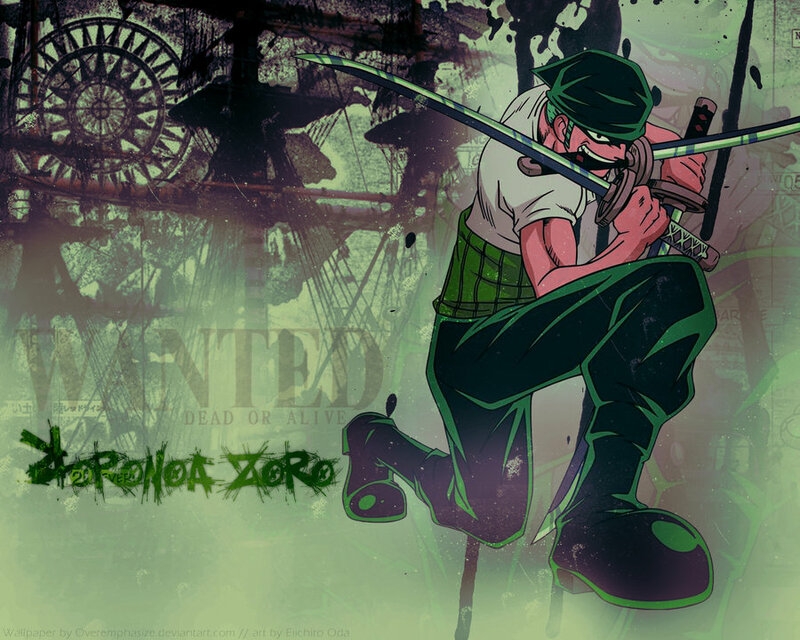 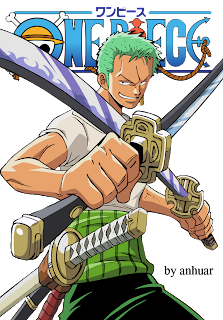 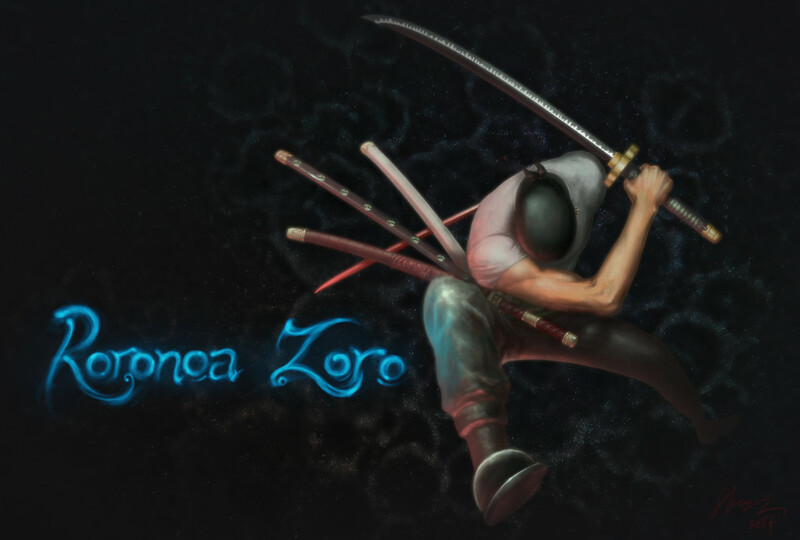 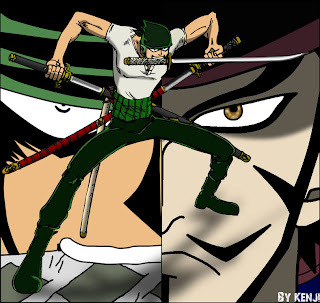 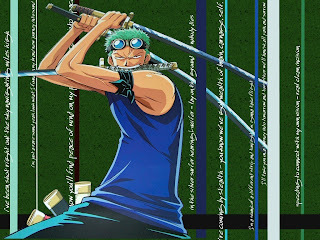 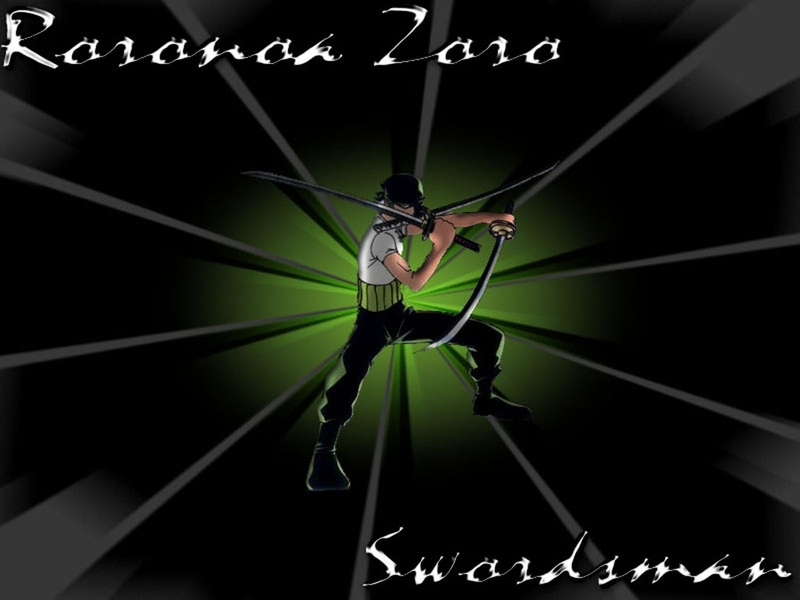 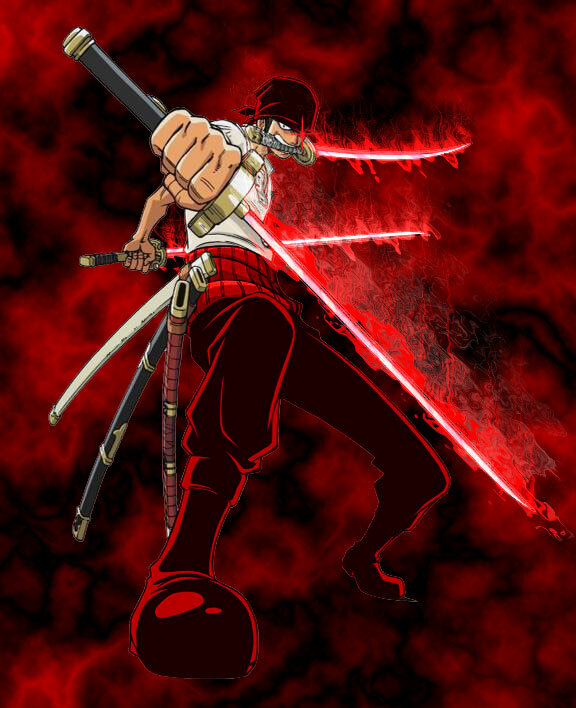 Roronoa Zoro is a 19 year old, skilled swordsman who uses up to three swords at once, clutching the third in his mouth.he wants to become the world's greatest swordsman by defeating Dracule Mihawk. 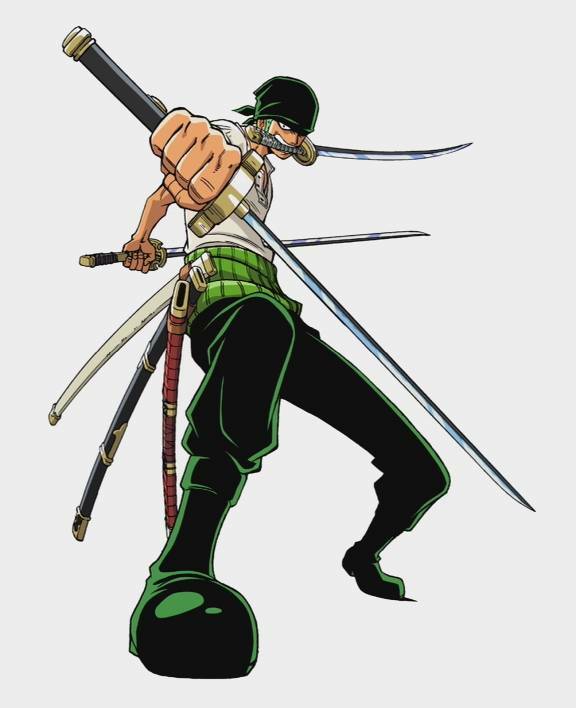 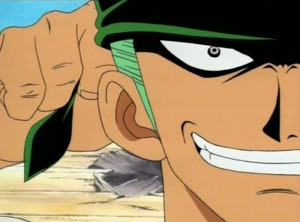 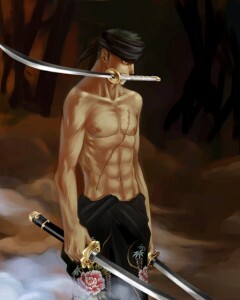 He can employ an "Asura" technique which gives him three faces and six arms, thus totaling nine swords.Zoro can expand the muscle mass of his arms, as well as emulate some of his sword attacks using his bare handsHe is extremely poor at understandinggeographical directions and gets lost very easily. He also sleeps a great deal and loves to drink. 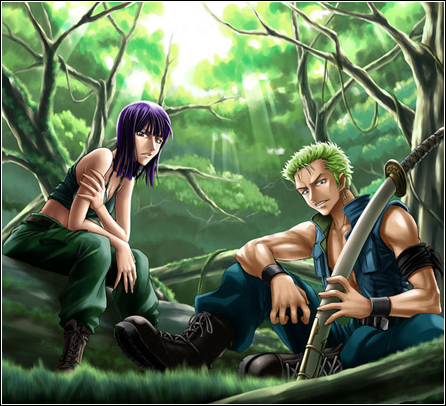 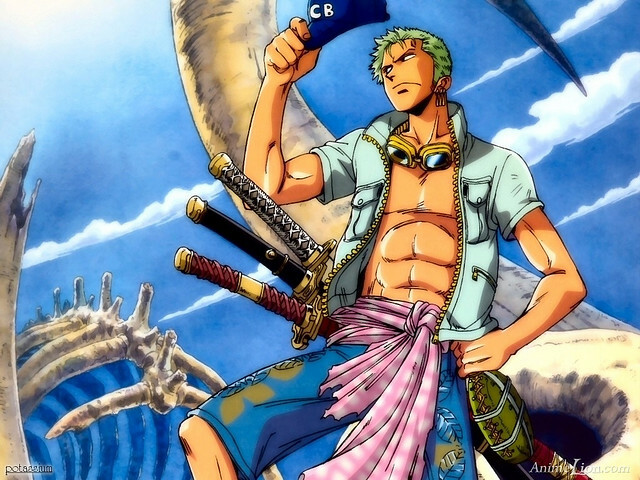 Zoro's current bounty is 120,000,000 Berries.